Tim Godsil wants you to sign his petition. What petition do you ask? The petition he started on the Change.org website to motivate Sprint to carry the mega-sized Samsung Galaxy Note smartphone. The Android powered, not-quite tablet, not-quite smartphone is making many waves this season. If all the hype turns into sales, Samsung has the making of a new iconic smartphone series. And dozens of knock-offs will occur. The Galaxy Note has been announced for the AT&T network here in the United States. However, Samsung and Sprint have yet to announce a model for the Now Network. The blogosphere has been active with rumors of the Galaxy Note coming to Sprint, and possibly Verizon as well. Maybe even with a different name, like the Journal. Most likely the decision for Sprint to carry the Note has already been made months ago, whether for, or against. And it may be too late for Sprint to get the Note if the process has not already been started. 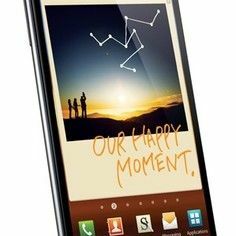 If product development of the Note for the Now Network should just get started now, it would likely be obsolete by the time it got to Sprint store shelves. It never hurts to sign the petition, though, right? I signed it. Decisions to make big changes can occur from the grassroots from folks like us. So, if the thought of a Samsung Galaxy Note (especially if it has LTE) gets your motor started, then follow this link to the petition and sign yourself up. Heck, even if you don't want a Note for yourself, go and sign the petition anyway. More device choices is good for all of us. And maybe the next petition will be for a device you want. And we will be there to sign yours too. Join the rebellion...sign the petition!